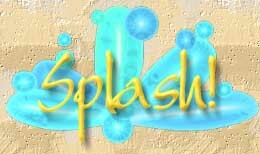 Hi... we'd be delighted to host you at Splash! - a truly special hideaway spot that you can call your very own. Splash! is the labour of love of Ian "Sugar George" Edwards, who lovingly designed and built this villa. Ian's long-held passion has been to capture a blend of fresh ideas of tropical home design in his very own special cottage. His original dream was to build the villa in his homeland, Montserrat - a tiny neighbouring isle known for its exquisite homes - but the sudden awakening of the island's volcano put these plans on pause. The young couple relocated to Anguilla and decided to go full steam ahead with making Splash! a reality. Janine is happy to host again after working for several years in Montserrat's hospitality industry as a Tourism Officer and a Tour Guide. Ian and Janine are very excited about the opening of Splash! and would love to share a tranquil holiday experience with you. 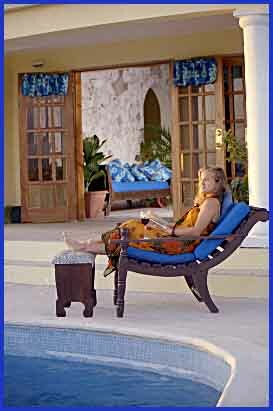 We are always interested in hearing your comments on our website, our villa, or any questions you might have for us.